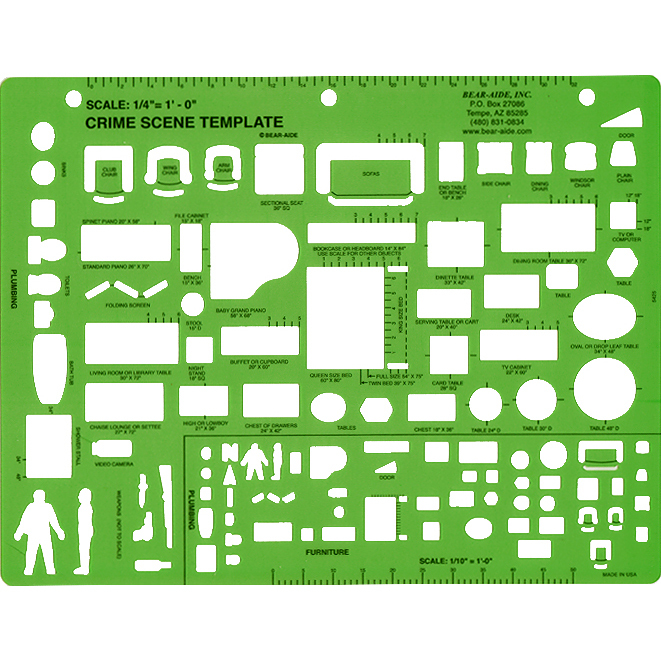 This 8½" by 11" template includes furniture and plumbing cutouts in two convenient scales. The ¼ inch equals one foot scale produces detailed scale drawings when drawn with a medium ball point pen. The template is useful for drawing burglary reports as well as more serious crime scenes, including arson. The one inch equals 10 feet scale can be used with the 10X traffic templates. Scale rulers for both scales are included. This notebook-sized template has holes to fit a three ring binder. Template Size 8 1/2" X 11". Price includes shipping & handling. Click on product thumbnail image to view large image. 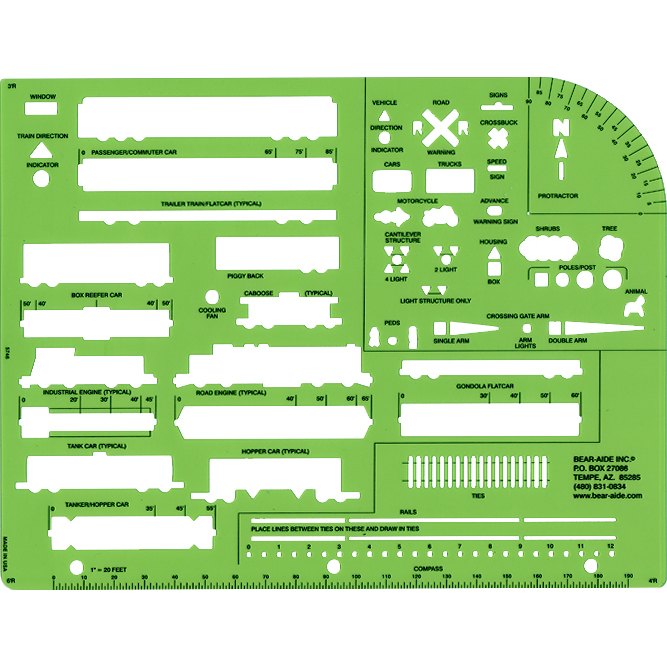 This unique 8 ½ inch by 11 inch template is used to draw 1"=20' diagrams of railroad accident scenes with either a medium ball point pen or a pencil. Registration marks are provided on major railroad equipment cutouts to facilitate drawing of various sized cars and engines. In addition, a scale ruler, a protractor and a compass are provided. The template includes cutouts for signals and railroad ties. Template Size 8 1/2" X 11". Price includes shipping & handling. Click on product thumbnail image to view large image.